We source nearly all of our produce from local organic and ecologically certified growers. This also gives us an opportunity to work with interesting, often overlooked ingredients such as ginger stalks, beet stems, and CBD hemp fan leaves. Juniper Hill Farm is nestled between the Adirondack Mountains and Lake Champlain, on the Boquet River in Wadhams, New York. Established in 2007, we grew on three acres of fertile land; now, for our ninth CSA season, we cultivate over one hundred acres. We are continuously adding more greenhouses with a goal of bringing to market an earlier and higher quality variety of products. During the summer, we can be found selling our produce at five local farmer’s markets weekly, and we provide a healthy quantity of wholesale goods to our local grocery stores and restaurants. We hope our food makes its way onto your table. The quality of our produce is evident by our diversified model of marketing. Our growing techniques exceed the requirements of the National Organic Program and our farm is recognized by NOFA NY as a Certified Organic Farm. If you are curious about our farm or our practices, please ask to arrange a date to stop by for a visit! At Juniper Hill we believe knowledge is power. We believe industrial foods, genetically modified and shipped around the world, are unsustainable and unhealthy. We hope you will join us in eating fresh, locally grown produce for the season. Long story short, a jack of all trades from a small town in Minnesota and an energetic suburbanite from Rochester met by chance in Ecuador, planting the seed for a first generation farm to grow out of a hayfield in the Champlain Valley. Fledging Crow Vegetables took flight to become a certified organic vegetable farm in Keeseville, NY, serving the Adirondack community and beyond since 2008. Reaching the height of a 400-plus member CSA, growing from 4 acres to 50 acres, and delivering to restaurants, stores, and food hubs across upstate NY has been quite the journey. Growing Fledging Crow Farm has meant so much more than just growing good food – It’s been about learning, maturing and reimagining year after year, month after month, day after day. It’s about nurturing our community and being fortified in return. It’s about expanding this community, while keeping true to our roots. It’s learning from our mistakes, sore backs, long days, graceful work, collaboration, keeping good records, taking risks, thinking on our feet, falling down, getting back up again, and holding to the faith that our efforts really do matter. Check out our website for more information, and we hope you will continue this journey with us, as we keep striving to revitalize this land and community. 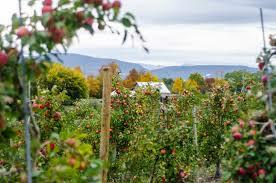 As one of the oldest continuously operating Orchards in Vermont, we take pride in growing over 100 varieties of apples as well as peaches, pears, plums, cherries, nectarines, and berries. We are careful stewards of our land and grow our fruit following strict eco apples requirements, while striving to minimize our carbon footprint and sustainably contribute to our community. 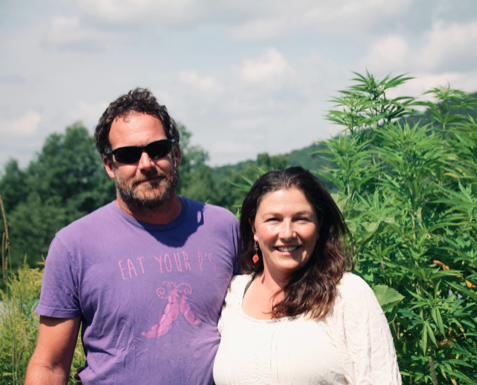 Luce Farm is a diverse organic production farm focused on creating quality products with full spectrum CBD oil to enrich your well-being. Wild Work Farm grows vegetables and fruit in the High Peaks region of the Adirondacks. 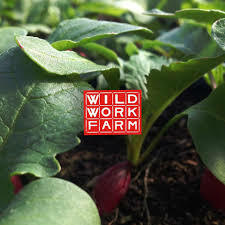 Located on a family farm in Keene Valley, Wild Work produces exceptional products for sale at farmers’ markets and to restaurants and wholesale accounts. Wild Work envisions a different way of doing business in rural upstate New York. We are working towards social, environmental and economic sustainability by providing low-barrier employment to area residents, stewarding farmland in the U.S.’s largest state park, and producing healthy food for the community.